Obviously, but the extent to which a piano can be modified within the confines of concert or home prep is quite great. Greater than you seem to want to admit. Again, the room for modification is quite large. Modify the strike weight by a few grams and/or action ratio (say, move the capstans a few millimeters) and you've got something completely different. I disagree, but whatever. I've got better things to do than argue. Agreed. Fandrich & Sons is proof of this concept. I am considering a mid-90s Steinway L and a late 90s C. Bechstein M-180. Both are in very good condition and sound fabulous, but different. I'm wondering if any readers have observations about these pianos, particularly the technical reputation of the Bechstein? Thank you. 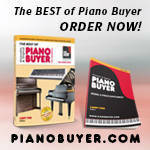 What are your criteria for choosing a piano? Taking a somewhat stretched analogy, would you choose between a Mercedes and a BMW on the basis of technical reputation, the types of journey you want to make, or driving experience? Would you take them on extended test drives and look at other makes and models to confirm your decision? First of all, I really appreciate those of you who have weighed in on this question. I did not mean to provoke an argument, but the discussion is interesting and lively. I want, of course, a piano not only that sounds great, but that is really well made, that will last the rest of my life and that I can pass on to one of my children. I know that Steinway has a great reputation, but I also have come to believe that S&S has perhaps taken their reputation for granted in recent years and that their products have become a bit less reliable. So I was hoping to gain some insight into what the experts think of vintage 90s Steinways vis-a-vis another world-class piano, namely a C. Bechstein. I have my eye on a C. Bechstein that is for sale, in addition to one or more Steinways, including a mid-90s and some much older, refurbished models. I wanted to get a feel for whether the Bechstein, structurally, is comparable to a Steinway. By the way, how much would you say a late 90s Bechstein M-180 in very good condition, should sell for? Thank you all again so much for taking time to educate me. Last edited by Inchoate; 11/28/12 11:30 PM. but I also have come to believe that S&S has perhaps taken their reputation for granted in recent years and that their products have become a bit less reliable. I must respectfully disagree with this. I think Steinway has improved substantially over the past 10 years or so, and that they are putting out the best piano in decades. There is more and more collaboration with the Hamburg factory. American legacy. Bechstein's legacy was to be important supporters and financiers for Adolf Hitler & the Nazis. I think Steinway has improved substantially over the past 10 years or so, and that they are putting out the best piano in decades. There is more and more collaboration with the Hamburg factory. 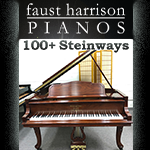 Owning a Steinway also gives you a wonderful sense of being part of a great American legacy. Thinking of a NY Steinway as a piece of American heritage to hand on to the next generation is a good reason to buy one, but some people prefer Hamburg Steinways, at least they do in the UK. As it happens I was in Germany last week and, without mentioning pianos at all, I asked the lady beside me at dinner how she would rate products from Berlin, Leipzig, Braunschweig, Wuppertal and Stuttgart. I was thinking of Bechstein, Bluthner, Grotrian and Schimmel, Ibach, and Schiedmayer and Pfeiffer, respectively. In her opinion Berliners tend to promise more than they deliver, Leipzigers try harder, Braunschweigers are reliable, Wuppertal is dull and she wouldn't go there, and she didn't like Swabians who are different even if they are obsessive about the quality of their materials and products. On this reckoning, you could consider Hamburg Steinways, Bluthners, Grotrians, Schimmels and even a Pfeiffer (shipped from Stuttgart) as well as Bechsteins. I agree with Ryan -- to a point; Steinway build quality has been steadily improving since the bad old days of the 1960s and 1970s. From what I've seen the build quality of NY Steinway-built pianos is probably better today than it has ever been. But the OP was asking about pianos built during the 1990s not the 2010s. And back then the company still had some work to do before reality matched rhetoric. Overall build quality and performance was better than it had been twenty years before that period but was still not all that great when compared with the best of European production. As may be, we are not now considering new pianos but used pianos with a couple of decades of time and use. And when looking at used pianos -- even high-end pianos of only twenty years back -- the question becomes one of care and condition as much or more than one of initial build quality. If the twenty year old Bechstein has been largely neglected and the twenty year old Steinway has been lovingly cared for the question of manufacturing precision becomes academic. One last thought; even though the initial build quality of a 1990s Steinway was not as precise and beautifully detailed as that of the Bechstein it is highly unlikely there is anything about the Steinway's structure that would be problematic. 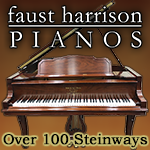 Even during the 19960s and 1970s that part of the piano was being done quite well. The problems would be mostly cosmetic, tonal (soundboard and hammers) and tactile (action and hammers). If the piano has been serviced well over the past twenty years it is likely that those will have been worked out years ago. If not, they can be be seen heard and felt. As with all used piano purchases the prospective buyer should play the piano, listen to it, get a feel for the action and have it inspected by a qualified piano technician. I'd suggest the OP, Inchoate, not worry overly much about how the pianos were built twenty years ago and concentrate on how they play and sound today. Mr. Fandrich: This advice is most helpful. In fact, you have encapsulated the exact information I was looking for in this post (not that the other discussion was not also helpful !). Having oned a NY Steinway M (1972) and B (1985). I feel their build quality was good not great. The sound and action the same. My Hamburg D (2003) is without question the greatest instrument I have heard for the Romantic repetoire that I love so much. Its action swift and accurate. The sound is amazing clear with a character I love so much. My second favorite are the Bosendofer. I played the Fazioli and liked the action and cosmetics but did not like the sound. Its character is bright but not full enough for me like the Hamburg Steinway. I have not played the Bechstein since I lived next to a dealer in Detroit in the early 90's. At that time I loved it more than the NY Steinway but its been 20 years and I dont retrospectively think that it matches or surpasses the Hamburg although a wonderful piano in all respective in 1991. I can't speak about 1990's pianos, but my daughter had her circa 2003 Steinway L here since buying it new and I played it daily. Very fine. When shopping for my own piano after she moved away with her Steinway, I played all of the top European pianos and liked the C. Bechstein best. It was a big one (about 7.5 feet I think) and it was incredible, but about $85,000 on sale. Out of my league! Next best was a Schimmel K230. Very rich sound but over $55,000 on sale. Still out of my league. I didn't like the small Bosendoerfer, the Bluthner, or any of the other pianos as much. If price were not a problem, I would have bought the large C. Bechstein. In another venue I tried a Steinway B and a D and liked the D a lot. The B not so much. Perhaps the store had not prepped it to my taste. Anyway, after trying dozens of pianos, I bought a Mason-Hamlin BB in polished ebony circa 2004. Wonderful tone and touch and in my price range. I think a C. Bechstein, a Steinway or any top piano might appeal. They are all different, however. It comes down to personal taste. Now the real issue is the age and condition of the pianos you are considering. I would be sure to have a tech check them out after deciding which one you like best. No one here can decide for you. Best of luck. 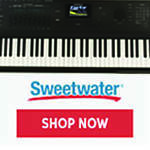 I hope you get a great piano when you choose! Happy holidays.